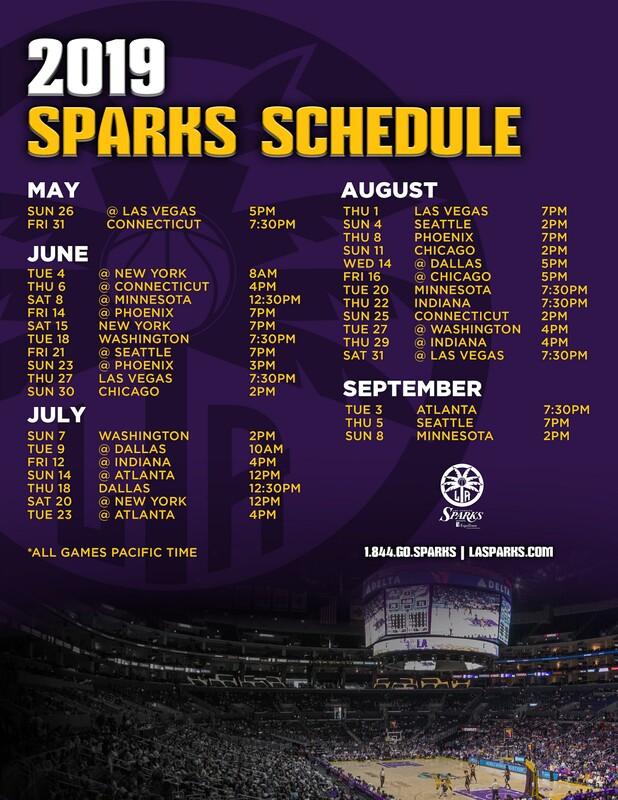 The Los Angeles Sparks’ youth basketball program’s Mission is to have a positive impact on participants lives by exposing them to transferable life principles and values such as discipline, confidence and hard work while having fun and developing the fundamentals of basketball through LA Sparks engagements. 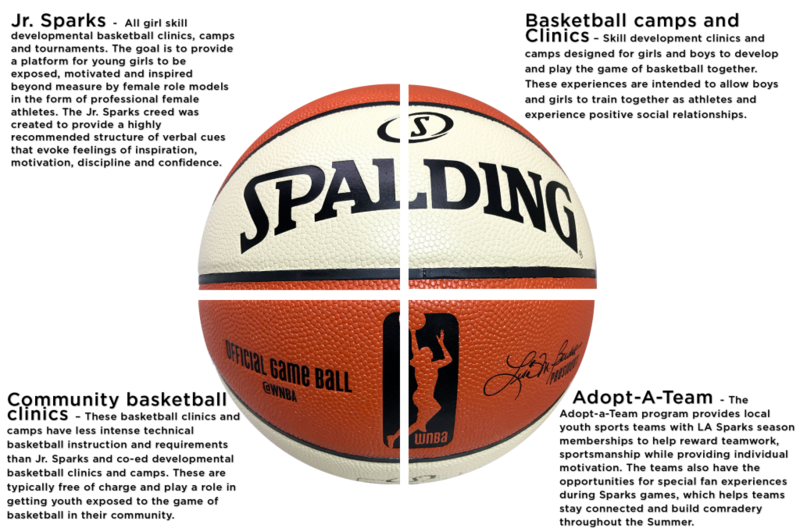 LA Sparks youth basketball’s philosophy is to provide many young athletes the opportunity and chance to experience life lessons in a controlled environment, develop their skills and enjoy the game of basketball. Opportunities are available for recreational players looking to enhance their skills while playing for fun, and competitive players with the desire and passion to become a well-rounded player both physically and mentally. The LA Sparks youth basketball program is divided into 4 separate experiences. The four programs listed below are available to interested youth ages 7 – 16 years old. For more information, please use one of the contact methods below.